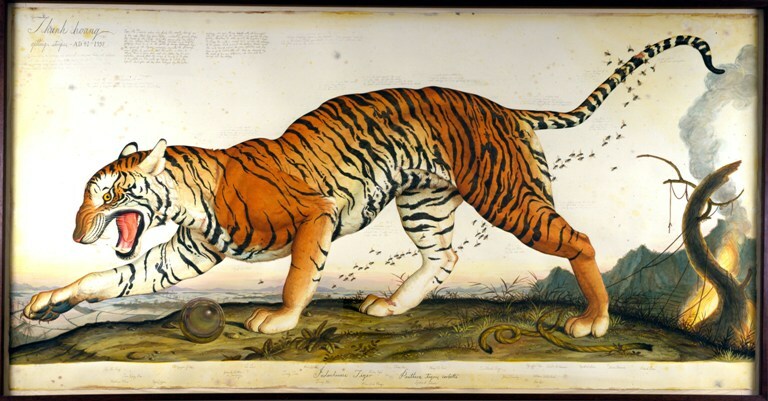 (Great Barrington, Mass., November 1, 2006) � On Sunday November 19, at 11 a.m., world-renowned painter Walton Ford will present a slide-show and artist�s talk and be the subject of a live interview followed by a Q&A at the Triplex Cinema in Great Barrington as part of �The Rest of the Story� series, the free public forum co-presented by Berkshire Living magazine and the Triplex Cinema. For the past decade, Ford has quietly been making his life-size watercolors, which tend to be highly political and satirical twists on the paintings of such 19th century naturalists as John James Audubon, in an old freight depot on the �wrong� side of the tracks in downtown Great Barrington. Ford has been recognized by the New York Times, PBS-TV, and most major magazines and newspapers as one of the leading artists of his generation. Each month, the Triplex and Berkshire Living, an award-winning regional lifestyle and culture magazine, join forces to present free public forums based on an article running in the concurrent issue of the magazine. For more information, call Berkshire Living at 413.528.3600.